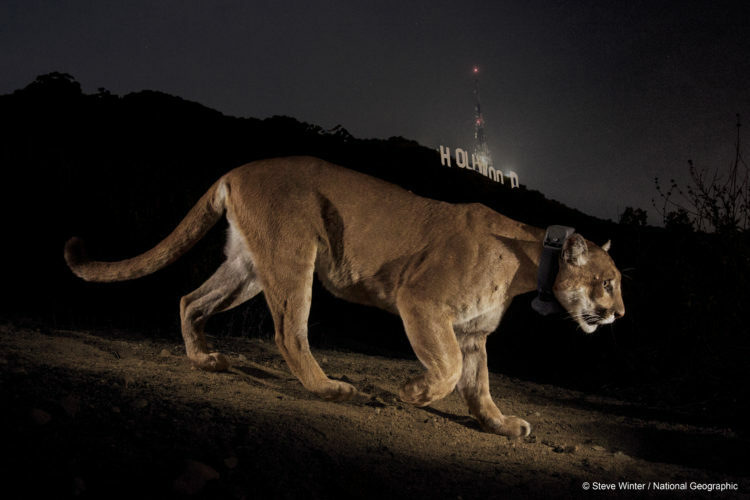 Did you know that a mountain lion, known as P-22, lives in the middle of Los Angeles? That on the Facebook campus in Silicon Valley, Mark Zuckerberg and his staff have provided a home for an endearing family of wild gray foxes? Or that wolves have returned to California after a ninety-year absence, led by the remarkable journey of the wolf OR-7? My new book, When Mountain Lions Are Neighbors: People and Wildlife Working it Out In California, a partnership between the National Wildlife Federation and Heyday Books, tells these remarkable tales and more. This book is a compendium of the wildlife stories that have captured my imagination, elicited awe in myself and others, and serve as examples of this new paradigm for how people and wildlife can coexist. The book will be sold nationwide in bookstores beginning in August, but NWF is offering a special sale to our supporters so you can purchase an advance copy. All proceeds from the sale of this book directly benefit the NWF’s conservation work in California and purchasing through our store ensures even more dollars go back to protecting wildlife. Check out the photos below – just a small sample of the stories featured in the book! Park staff and visitors help keep bears wild in Yosemite National Park. Photo NPS.